FULTON, Md.--(BUSINESS WIRE)--OmniTI, a leading provider of web infrastructures and applications for companies that require scalable, high-performance, mission critical solutions, today announced that it has partnered with GovCloud Network, LLC to help clients develop and execute mission and business strategies for cloud-based services. This collaboration will offer a complete end-to-end cloud service solution for customers. GovCloud’s expertise in Business Strategy and Design combined with OmniTi’s strong Operational and Implementation experience help clients identify business goals and develop and execute business strategies to leverage the parallel and global nature of cloud-based services. The OmniTI/GovCloud partnership focuses on ways to fully leverage the cloud for the client’s business operations while considering a number of critical factors that will impact a successful transition plan including scalability, performance, availability, automation and monitoring initiatives. Customers that leverage the cloud capabilities can also benefit from GovCloud’s technical training and business education to thrive through the use of advanced information technology. GovCloud offers cloud certification services and more through its unique CloudTek University. CloudTek is a unique platform that marries “Just-in-Time” professional cloud computing education with contemporary and relevant insight and information. GovCloud Network, LLC employs our technology, education and digital publishing expertise to help clients develop and execute mission and business strategies that leverage the parallel and global nature of cloud computing. A component of this model is CloudTek University, a unique platform that marries "Just-in-Time" professional cloud computing education with contemporary and relevant insight and information. 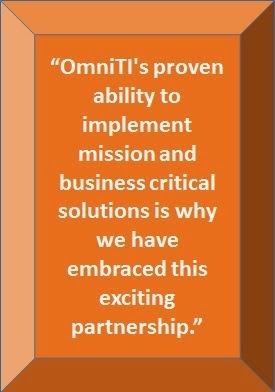 For companies experiencing issues associated with growth and scalability of their customer-facing systems, OmniTI is the leading Web Scalability and Performance provider using a cross-disciplinary approach to achieve unparalleled levels of web, database and operational performance, to enable revenue growth, outstanding customer experience, underlying infrastructure reliability and faster time-to-market.